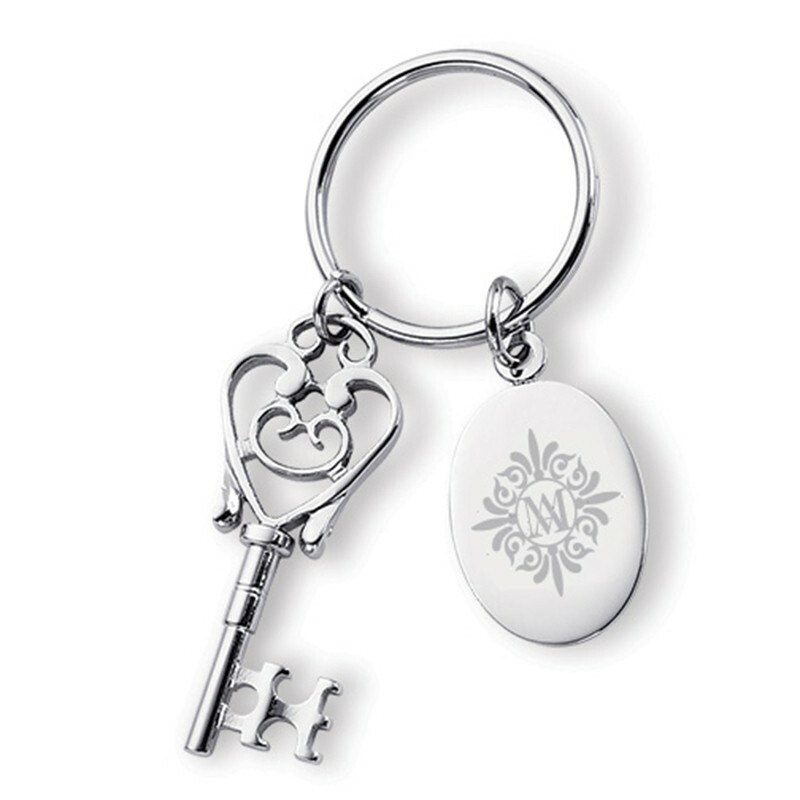 Elegant silver vintage key replica keytag with oval charm. Info Set-up charge: $50 for first location, $35 for each add'l location. If you are imprinting one color or one position logo's run charges do not apply. Run charges are optional and only apply to additional imprint colors or positions after the first. Color imprint: $35 set-up plus $0.50 run charge for each additional color/position. Laser engrave: $35 set-up plus $0.50 run charge for each additional engraving.